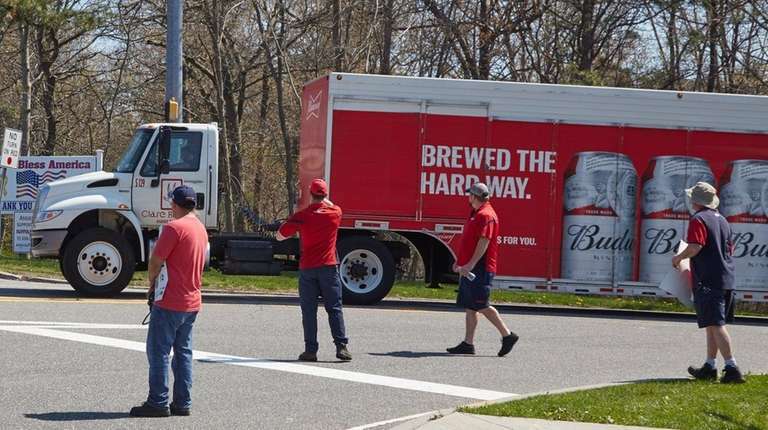 Clare Rose and its 130 union delivery drivers and warehouse workers have negotiated a new contract, ending a nearly three-month strike against the East Yaphank beer distributor, company and union officials said. The deal restores pension contributions for workers but removes a sales function that had been responsible for part of drivers’ pay. Union employees, who went on strike April 23, will vote on the agreement Saturday, Alex Moore, spokesman for Teamsters Local 812, said late Thursday night. Sean Rose, chief executive of the third-generation family business, said early Friday that both the union and the company “feel confident it will be ratified.” He said the company would retain a “fair amount” of the permanent replacement workers it hired during the strike. Union members walked off the job in April after a Clare Rose contract offer proposed eliminating a sales function drivers provide, resulting in what the union said would be a 30 percent wage cut. Members also objected to a planned conversion from a defined benefit pension plan to a 401(k) retirement plan. The company said only a quarter of striking employees would get lower wages under that previous offer, and that more than half would receive a raise. Under the new agreement, the company will continue to contribute to the workers’ pension plan instead of switching to a 401(k). While the sales function drivers once served will still be eliminated, a “compensation package that was above average” industry standards was agreed upon, Rose said. On Friday, George Miranda, president of Teamsters Joint Council 16, thanked Gov. Andrew M. Cuomo for his “behind the scenes” efforts to bring the two parties together. Cuomo recommended Port Washington-based mediator Martin F. Scheinman, who facilitated negotiations, the union said. Clare Rose is the exclusive Long Island distributor of Anheuser-Busch InBev products, such as Budweiser and Bud Light, serving 5,000 businesses in Nassau and Suffolk counties.